People are engaging with their smart phones at an ever-growing rate. Whether they are on a train or waiting for an appointment, the chances are that they are browsing on their phones. Already this is helping businesses become more ‘efficient’, in that users are engaging with the business while on the move. 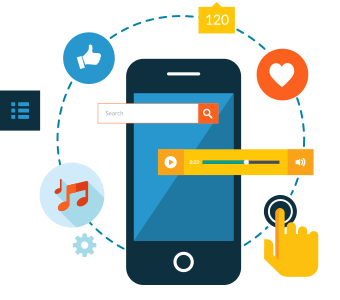 As user interest increases there is a higher chance of increased sales for you if you have a mobile app. With mobile devices, the “Push notification” feature enables you to remind all users about a relevant topic, i.e. their abandoned shopping cart or your current special offer. Technology also enables you to track where your customers are, helping you to make business decisions.